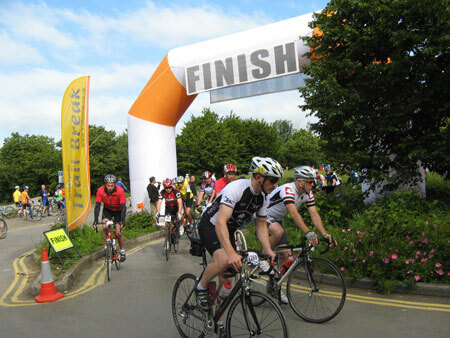 The Great Western Sportive is coming up this Sunday 19th June and there are still some spaces left on the event. Supported by Wilier Bikes, the 105 mile Great Western starts from the Nationwide Building Society HQ and quickly delivers you into the beautiful, Rolling Wiltshire Downs for a full day of varied riding on some of the south’s quietest and most bike friendly roads. Climbs are well catered for with stiff tests over the Ridgeway and an accumulation of downland ascents totalling over 2000 meters of vertical for the day, but the cleverly designed course rewards every tough climb with a long, sweeping descent, making for a challenging course that is actually a joy to ride! There are also 83 and 49 mile shorter distances to compliment the main event, giving something for everyone. All the routes are fully signed, with motorbike marshals and vehicle support keep you on track, plus three feed and support stations to sustain you. Timing is taken care of using reliable bike mounted RFID chips, and at the finish you’ll get free tea and cake along with a free event t-shirt.